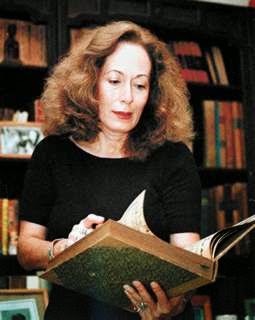 Daisy Zamora, born and raised in Managua, Nicaragua, was a member of the Sandinista National Liberation Front (FSLN) in the 1970s, actively fighting to end the Somoza dictatorship. Today she continues to be a well-known activist and advocate for social justice and women’s rights. She is unflinching and passionate in her political and creative work. This past year, one of my students chose poems from Zamora’s earlier book, The Violent Foam, to translate. We worked together, discussing the Spanish words and phrases she chose, the framing of the work to create her trademark riveting poems. 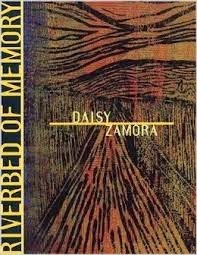 Perhaps I have returned now to Daisy Zamora because of what is currently happening in our world, and because of all those, like Zamora, who are passionately involved in social justice. I think of Malala Yousafzay from Pakistan, so brave and unrelenting in her commitment to education for all, specifically young women. This weekend hundreds of people are gathering in Ferguson, Missouri, (called “Ferguson October”) to protest the killing of Michael Brown (as well as John Crawford, Ezell Ford, Eric Garner, Oscar Grant & many others), calling for justice. Palestine and Israel; the Ukraine crisis with Russia; the Middle East; the Ebola plague crisis; 43 students disappeared in the state of Guerrero, Mexico; thousands of children escaping the violence and threat of death in their home countries of Guatemala, Honduras, El Salvador, and Nicaragua, only to be detained and placed in U.S. customs and Border holding cells. There are so many people in all these places, names who will never appear in newspaper articles, on Twitter, Facebook, whose voices will not be heard. del mísero sueldo que para nada alcanza. en la carretera frente a mi casa. cuando intentaba cruzarse al otro lado. que no parecía tener mas de dieciocho años. De repente cesa la habladera. mientra ella despacha muy amable la carne a los clientes? And the miserable salary that doesn’t pay enough. on the highway in front of my house. when she started to cross. how she couldn’t be more than eighteen. while she politely serves meat to the customers? hasta tener en común, solamente, pensamientos y recuerdos. Las muñecas de papel y los desfiles. La vida no retrocede y deseo conocerte. Es decir, volver a conocerte. Habrá, sin embargo, cosas tuyas que conserves. que hablan en otra lengua y buscan otros caminos. tan familiares a ti y a tus recuerdos. y el verano tiene rojas las gencianas del cerco. Mis lugares amados son también los tuyos. until all we had in common were thoughts and memories. the paper dolls and the parades. Life doesn’t go backwards and I want to know you. That is, to get to know you again. who speak another language and search for other paths. so familiar to you and your memories. and summer has turned the gentians at the fence deep red. My beloved places are the same as yours. Siento no complacerla. Aquí, comemos piedras. is a drifter digging through the garbage. casts a pall on the morning light. for a peso, an insult, a punch. Teenagers offer their only possession: their bodies. is a hungry, begging hand. Your husband is an important functionary. and in this country you're just passing through. like the dainty cakes and bonbons you eat. Sorry I can't please you. Here, we eat stones. quien traspasa el alambrado, resucita. ¿Pero a quién le interesa trepar en la espesura? ¿Quién se atreve a cruzar la tempestad? ¿Alguien quiere mirar de frente a la pureza? Bajo fuego cruzado y permanente. And whoever crosses the barbed wire comes back to life. But who’s interested in crawling through undergrowth? Who dares sail a tempest? Who wants to come face to face with purity? Wow! I love Daisy Zamora's versos & the translations are great. Thanks for these versos full of harsh reality, beauty, and protest.